In our experience, we have found that weight issues are truly the center of many other conditions. When we witness our clients manage their weight properly, other biometrics tend to get better as well such as lower cholesterol, reduced blood pressure and less need for medications for chronic diseases like Diabetes. We want to help you lose weight, keep it off and address multiple issues at the same time if we can. Our Weight Management Program includes individualized plans to help you meet your goals as well as a weekly group session to promote a sense of community and remind you that you are not alone! We also offer individual nutrition counseling appointments for those looking for a more private environment. Refer to our Nutrition Page to learn more. L.E.A.P. Into Your Weight Loss Journey Today! Weight loss is a struggle for so many people. The Lifestyle Enhancement & Advancement Program, is geared towards helping people address obesity and weight loss in a structured, sustainable and SAFE way. At CMI we understand that a one size approach is not the right strategy to promote successful weight loss. We have developed two different tracks to meet the needs of our clients depending on their goals. CMI utilizes OPTIFAST® meal replacement products for the rapid weight loss track. These products are developed by Nestle Health Sciences and contain a complete and balanced set of nutrients. The typical OPTIFAST® patient loses over 50 pounds in 18-24 weeks. For many dieters, weight loss is temporary. The most important component of each weight loss option is the weekly group session. This lifestyle education series offers a combination of discussion topics and activities, as well as a group fitness class. Attending these sessions is a crucial part for maintaining the weight loss for years to come. "This program really, really helped me because I needed the decisions taking out of my control and I needed accountability. Everything I achieved, I DID IT with their help. Being inspired helps you want to lose the weight, and want to eat right, and make the right decisions. So it all really works hand in hand. You basically learn more about both your mind and your body." 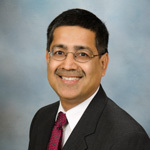 Dr. Singal is CMI's Medical Director for OPTIFAST®. He makes sure that our participants are all being monitored and staying safe while on the OPTIFAST® diet which is crucial because of the low calorie counts and different nutritional compositions of each product. Routine labwork and EKGs are conducted a few times during the program’s duration and he ensures everything is on the right track. 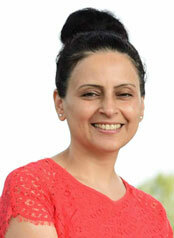 Meenal Patel is a Physician Assistant with CMI who is a crucial component of the OPTIFAST® medical team. Along with Dr. Singal, she conducts the initial in depth weight history and OPTIFAST® clearance visit with our new clients if they do not have their own physician clearance to join the program. Throughout your journey with OPTIFAST®, Meenal will be a key resource for all medical related concerns and she performs detailed weekly reviews of client charts to make sure that all medical interventions are being performed in a timely fashion. 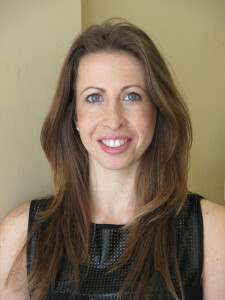 Danielle is our Registered Dietitian who will help you start the OPTIFAST® program. 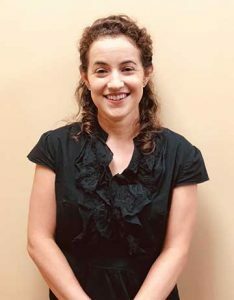 After your medical clearance visit, Danielle will work with you to understand your daily schedule and figure out which products to take and schedule when you should take them. When you are finishing the program and ready to transition to regular foods, Danielle will be there to put together meal plans to phase in everything properly and ensure that your new lifestyle is sustainable. Danielle is also one of our facilitators for the weekly group sessions. 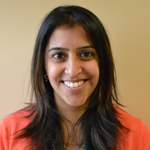 Suruchi Saini is a Licensed Professional Counselor and one of our group facilitators for the OPTIFAST® programs. In her groups topics such as Being Assertive, Body Image and Stress Management are addressed in a collaborative way with our participants.